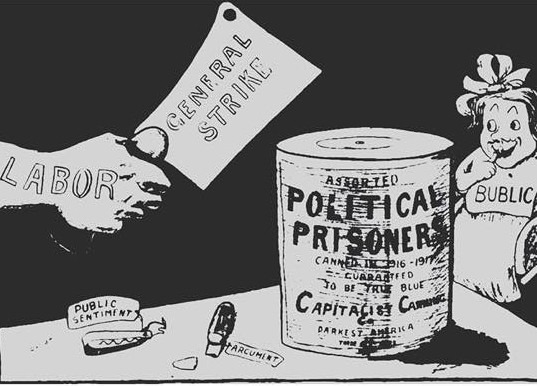 Call to link the prison strike to attacks on organized labor. Are you pissed off about the recent attacks against public employee unions? Are you disturbed by the continuation of literal slavery in the prison system? This Labor Day weekend, take it to the barricades! Earlier this year, the Supreme Court announced one of the most devastating blows to union membership in decades. The Janus decision specifically targeted public employees of state and local agencies, in which the Court decreed that public workers who benefit from their unions’ collective-bargaining efforts owe no obligation to offer financial support for those efforts. 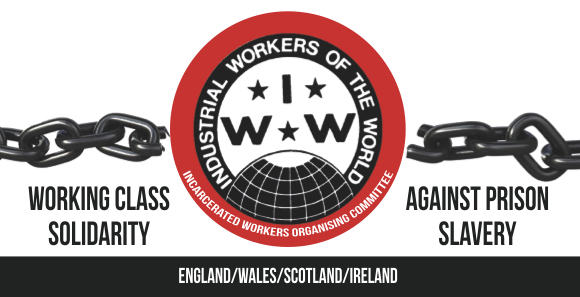 This ruling opens the door for corporate interests to decimate this organizing force of nearly 7 million members that has consistently stood up against privatization, including in the prison industry. All hope is not lost and those whose dedication to working-class power is unhindered by right wing attacks know that this is a time to step up, not back. It’s a time to fight harder and smarter. So let’s cut to the chase. It’s no secret that police and prisons usurp a majority of funds available to the general budgets of state and local governments. It is not uncommon to have a quarter to half of any given city or county budget be dumped into police or sheriff coffers. As of 2017, the best attempts to assess total costs of prison and policing land around $182 billion a year. According to reports, all this spending does little towards achieving actual public safety. To offer a single example, the state of Florida’s Department of Transportation paid the state’s Department of Corrections 19 million dollars last year in a contract for prison labor. Little has changed since one hundred years ago when many of that state’s first roads were built by convict-leased former slaves. But prisoners don’t just maintain the roads and toil in license plate factories. They actually run the entire prison system too. They cook, they clean, they paint, they weld, they repair cars, they do plumbing and maintain waste treatment facilities, they staff law libraries. All while prison guards generally stand and watch. Gainesville IWOC and IWW General Membership Branch (FL), Tampa IWW, and Kansas City IWOC.